Jane Goldman’s Long Night-set spin-off begins filming in just a few months, so it’s no surprise that casting calls for the prequel’s pilot keep popping up again and again. Today, this trend continues! Though personal details remain elusive, this batch of casting calls we uncovered does reveal a few interesting characters… read on for the details! Contrary to the previous roles we reported on, the following are not specified to be series regulars, though we can’t confirm that they won’t be. They could be starring roles, recurring, or perhaps they’re just there for the pilot—there’s just no way to know yet. The first two characters come in a pack, together, which can only mean one thing: twins! Though twin minors are usually cast to share the role of a single child character, doubling work hours without breaking child labor laws, that’s not the case this time: they’re looking for real twins, aged 23 to 29, to play twin sisters in their twenties. The other character, identified only as “A2”, is a man in his seventies. That alone wouldn’t make it a particularly telling casting call, but they’re looking for a “genuine Scandinavian, Eastern European or German actor.” Though there are exceptions, most Northern and Eastern Europeans in Game of Thrones play wildlings, which would indicate this is another one… except wildlings are, by definition, the human tribes who live north of the Wall—a wall that wasn’t built until the end of the Long Night, which is the purview of this show. So let’s tentatively call him a “proto-wildling”; one of the northernmost First Men who would eventually be trapped beyond the Wall. So, do you agree, or do you think they’re looking for some other kind of “foreigner”, such as an Essosi? Also: are we finally getting a wholesome twin relationship? Hold it, man. Hold it as much as you can. He’s holding the red Targaryen bag. Also: are we finally getting a wholesome twin relationship? JAIME, da kingslayer!!! ….he is not on this site often enough. Random thought: Jaime kills NK. 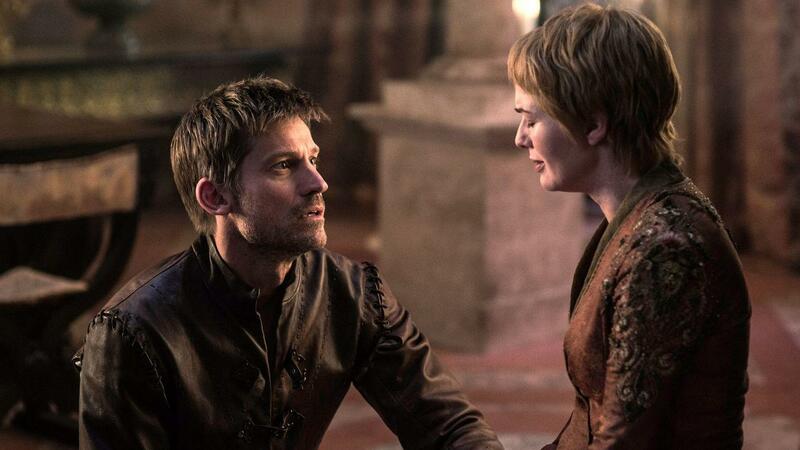 Goes down in history as the heroic “kingslayer” rather than the oathbreaking kingslayer. “Proto-wildling”? Or maybe a pureblood First Man descendent? You got me on the twin (I’m assuming “identical”) sisters, though. Exactomundo! From your pen to the ears of all the gods. And may he live on to enjoy his new reputation…at least until the credits roll. Together our contributions may have raised the level of discourse up by at least half a notch. Surely we were the greatest minds for at least 15 minutes today? Currently watching Electric Dreams “Human Is” with Liam and Essie Davis. Still think she’s great. Would love to see her in the prequel in a bigger role, although that’s probably unlikely. I can’t think of any twin actresses off hand but I’m sure there are some. There were some good Swedish actors in the Arne Dahl adaptations of the Mysterioso novels shown on BBC4 a few years ago though I can’t think of anyone in that age range specified. It will of course depend who impresses the casting crew the most at auditions of course. Joramun, is that you? … but 70s might be too old for that character…. O/T… Iain Glen has just nervously admitted on UK morning TV that each S8 episode is feature length. Only two set of UK twin actresses in their 20’s come to mind, the Mackie and Russo sisters. About the “proto-Wilding” role (I like that BTW), If we do get into The Night’s Queen/First Night’s Watch time period, we should have another King Beyond the Wall, maybe Raymond Redbeard, but perhaps 70 is too old for that role, although Ciarán Hinds was what, around 65-ish when played Mance. I really hope it’s not Essos as I hope the geography of the show will focus more on the North than GOT. Also when do we expect a decision to be made post pilot as to whether the full series will be greenlit, can we expect that around the final season of GOT so we see the prequel in 2020? Chapter 33 of “Fire and Blood” speaks of Princess Rhaella Targaryen, the daughter of Prince Aegon and Princess Rhaena Targaryen, and the twin-sister of Princess Aerea. Identity swap is part of the plot. How do you find the casting call, though? It’s odd but I’d been thinking about impersonations (not just in ASOIAF – not so much in the TV show). The Martin Guerre case is a reasonably well-known historical one. (In the 1990s I heard a radio dramatisation of the subject with Sean Bean playing both the real Martin and the false Martin). Editing this because I tried to put in the spoiler code but for some reason it hasn’t worked. In the Brothers Grimm story The Goose Girl there is an impersonation of course – though that may be a folk tale that the Brothers Grimm wrote down.